Could of been better ! 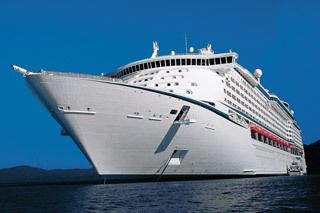 The cruise ship was not so great compare to the other ships Royal has . The food could of been better and also they say food 24hrs and their was no food after 2AM unless you paid 8.95 for room services . No shows on this cruise only a comedy show everything seemed rushed their farewell party was 11 mins . long a lot of their activities were only 45 mins long or less . We noticed the same thing 0n our cruise on this SHIP Feb. 2017. Went back to Carnival. Much better.